In 1945, the National Research Corporation developed a powdered form of orange juice for the U.S. Army. 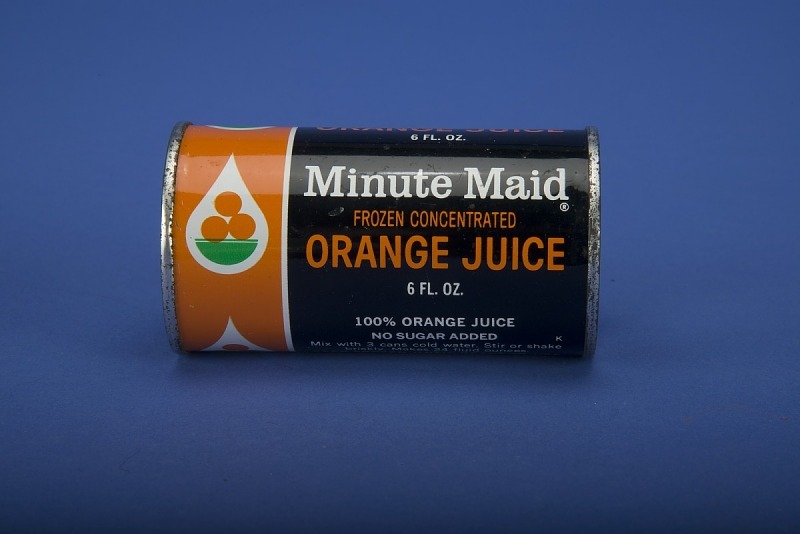 After World War II, the company reconfigured the dehydration process to create a new product for the consumer market: frozen, concentrated orange juice. Packed in cans at Florida processing plants and sold nationwide, it became the postwar era’s first frozen-food success story. While canned juice was already available year-round, many consumers found the taste of frozen juice more appealing and the cost more affordable than fresh oranges. 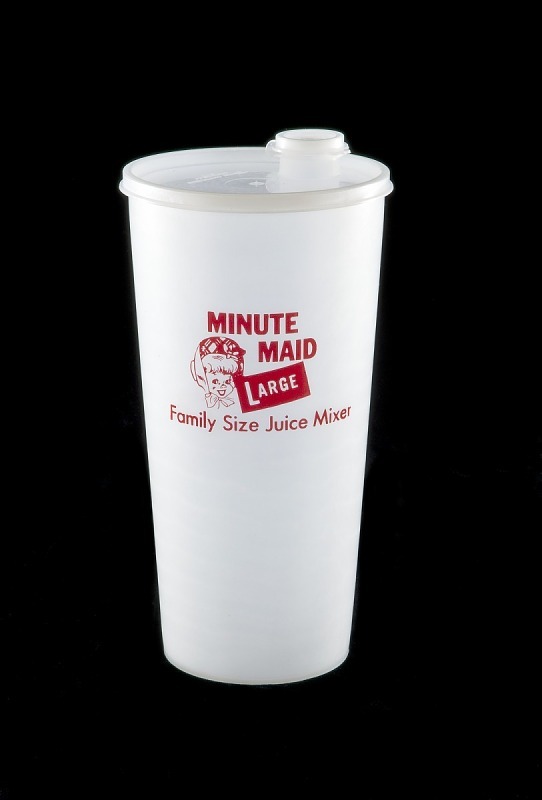 At home, consumers mixed the concentrate with water in pitchers of their own or in containers specially promoted for the purpose, like this one made by Tupperware. Gift of Glenn O. Tupper. 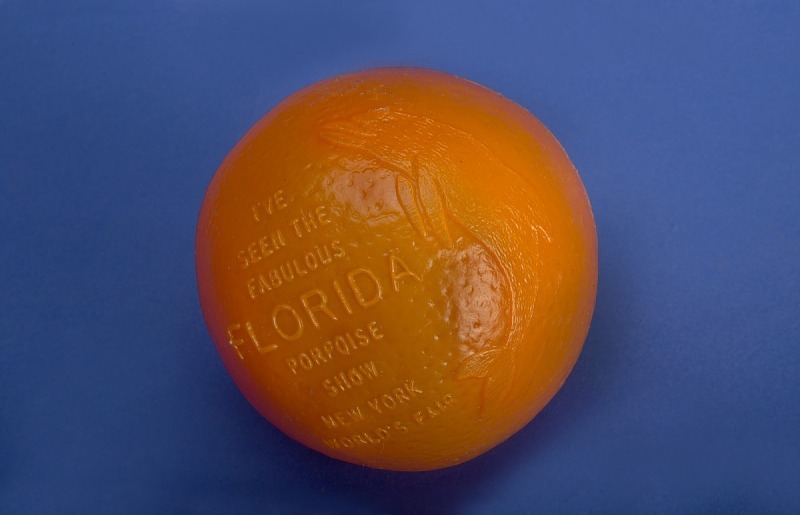 At the 1964 World’s Fair in New York, Minute Maid partnered with Florida’s tourism board to attract visitors and market orange juice. Bequest of Larry Zim. Cans of concentrated orange juice pass through a blast-freeze tunnel set to -40 degrees Fahrenheit.